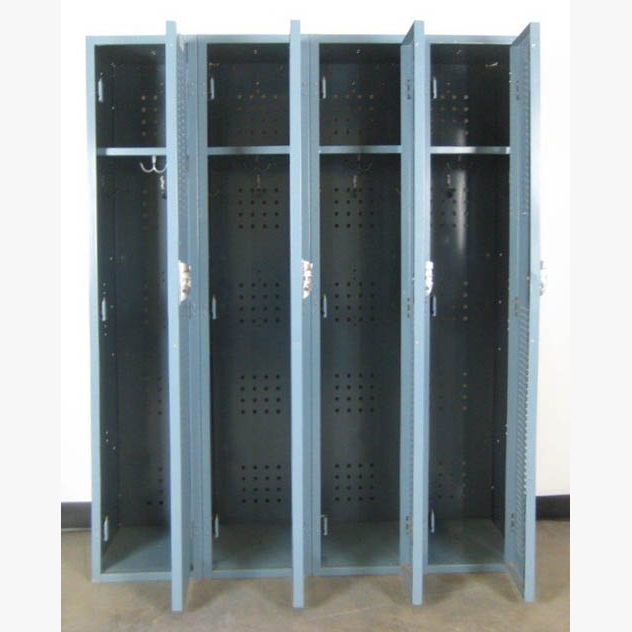 These Single Tier Worley Lockers are available on www.buyusedlockers.com where they have a huge selection to choose from if we need additional supplies. 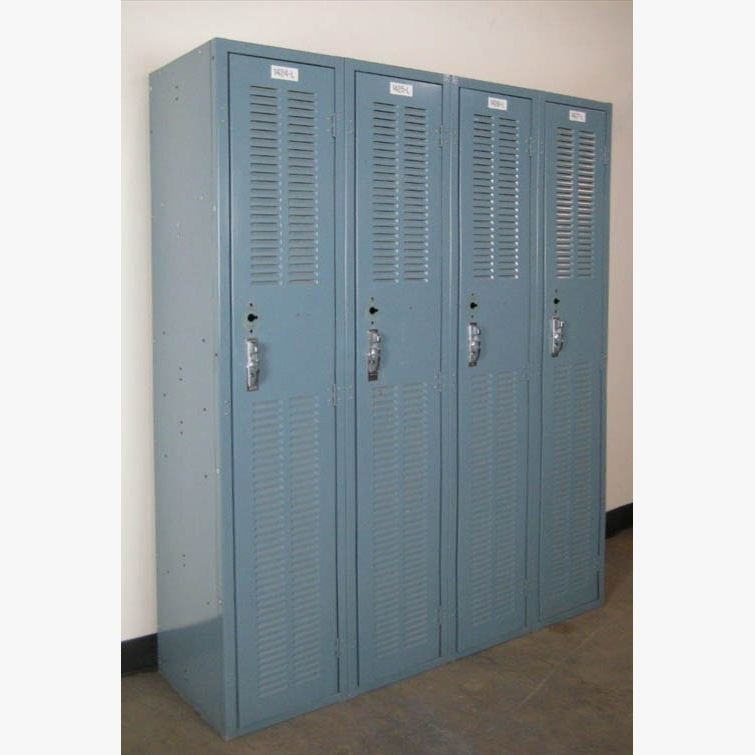 These blue single tier metal lockers for sale are in good working condition; an ideal addition to any school, warehouse, gym, or anyplace you need to provide more storage. 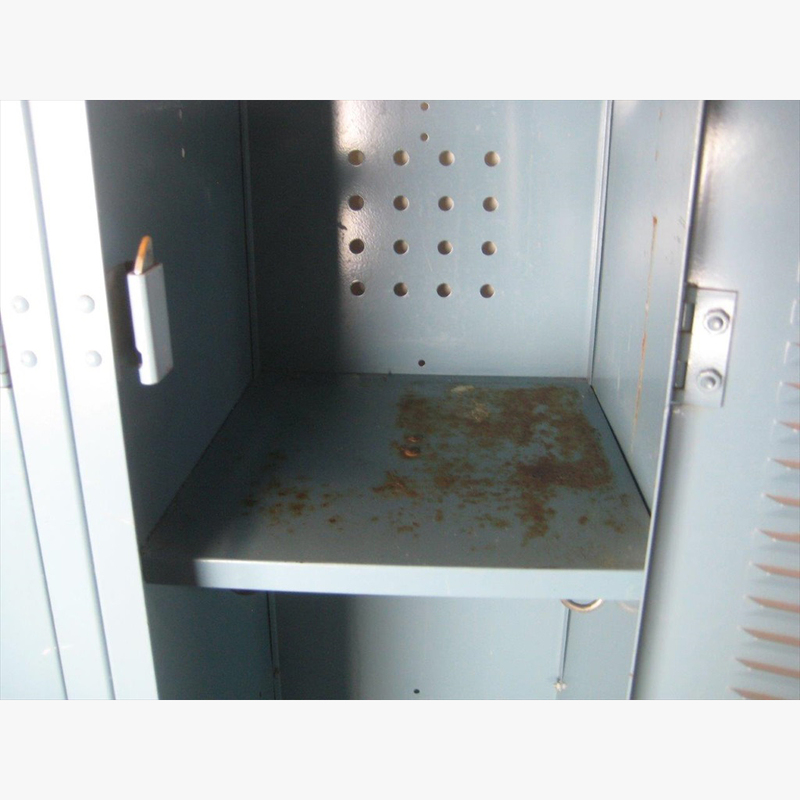 They do have some worn paint on the interior shelves, but this does not affect the functionality and durability of the lockers. 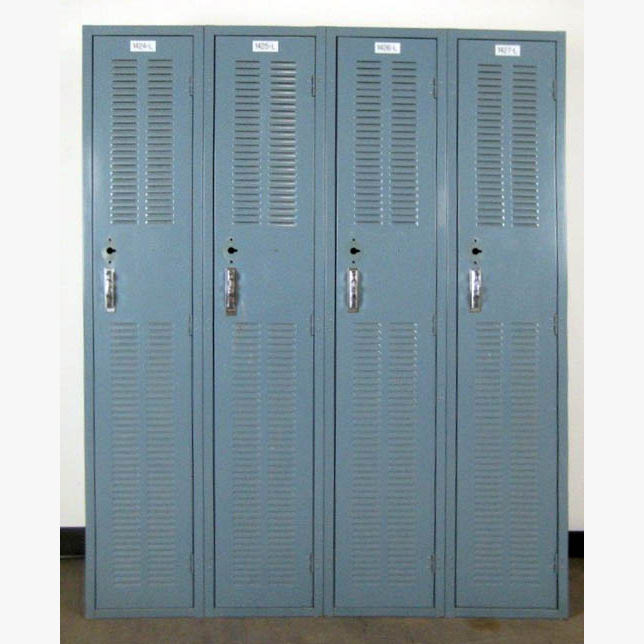 With an overall measurement of 12" wide x 15" deep x 60" high, they are equipped with interior hooks for hanging backpacks, purses, coats and other clothing, while the fully louvered doors promote air circulation to minimize odors. Locker handles can be secured with a padlock and the doors have been stamped so you can add a combination or built-in key lock for extra security.